Illustration of the Flourish™ Pediatric Esophageal Atresia device. Bloomington, Ind. – Cook Medical received a Rare Impact Award from the National Organization for Rare Disorders (NORD) this month. Accepting the award were Dr. Mario Zaritzky and, Vihar Surti, a director of Global Research & Development at Cook, who collaborated to develop the Flourish™ Pediatric Esophageal Atresia device. Esophageal atresia is a birth defect of the esophagus – the tubular structure that connects the mouth to the stomach. In babies born with this condition, the upper part of the esophagus does not connect to the lower part of the esophagus and the stomach, making it impossible for them to eat normally. The Flourish™ Pediatric Esophageal Atresia device uses rare earth magnets that are inserted into the upper and lower ends of the infant’s esophagus. Over the course of several days, the magnets gradually stretch both ends of the esophagus, after which the tissue connects to form an intact esophagus. Previously, this condition could only be repaired surgically, but now doctors have another option. In order to treat pediatric patients affected by this rare disorder, Flourish™ received approval from the FDA in 2017. The product is not yet available to physicians. Esophageal atresia affects around 1 in 2,500 newborns.1 Humanitarian Use Device (HUD) designations are reserved for the treatment or diagnosis of a disease or condition that affects fewer than 8,000 individuals in the United States per year. Between the time that FDA granted HUD designation in 2010 and approved the Humanitarian Device Exemption (HDE) for Flourish in 2017, 16 babies were successfully treated. The Rare Impact Awards are presented each year by NORD, to organizations that provide care for the 1 in 10 Americans living with a rare disease. As an advocate for those affected by rare medical disorders, NORD has offered services to patients and their families for 35 years. The group is made of over 260 patient organizations working towards the cure and treatment of rare disorders, similar to Cook’s work with pediatric esophageal atresia. 1 Mahoney L., Rosen R., Feeding Difficulties in Children with Esophageal Atresia. Paediatr Respir Rev. 2016 Jun;19:21-7. doi: 10.1016/j.prrv.2015.06.002. 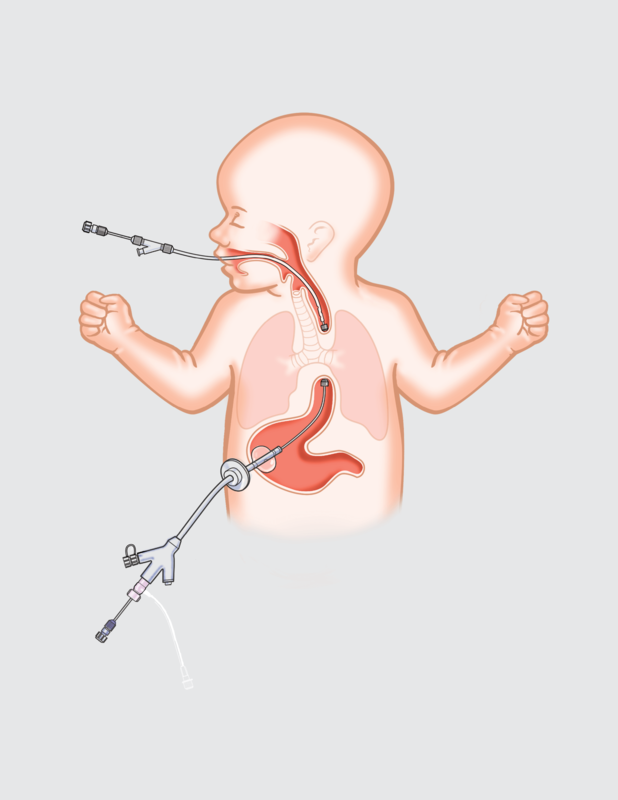 Indications for Use: The Flourish Pediatric Esophageal Atresia Device is indicated for use in lengthening atretic esophageal ends and creating an anastomosis with a non-surgical procedure in pediatric patients, up to one year of age with esophageal atresia without a tracheoesophageal fistula (TEF) or in pediatric patients up to one year of age for whom a concurrent TEF has been closed as a result of a prior procedure. This device is indicated for atretic segments <4cm a part. Humanitarian Device. Authorized by Federal law for use in the treatment of lengthening atretic esophageal ends and creating an anastomosis with a non-surgical procedure in pediatric patients, up to one year of age with esophageal atresia without a tracheoesophageal fistula (TEF), or in pediatric patients up to one year of age for whom a concurrent TEF has been closed as a result of a prior procedure. The effectiveness of this device for this use has not been demonstrated. Data supporting the safety and probable benefit of the Flourish device include results from 16 patients who had the Flourish device placed. In the limited data provided, all 16 infants had a successful joining of their esophagus, with no remaining gap, within three to 10 days after receiving the device. However, 14 of the 16 patients developed a complication that caused a narrowing in their esophagus (anastomotic stricture). Thirteen of sixteen (13/16) patients required balloon dilation,and /or stent placement to widen or keep the anastomosis patent. One of sixteen (1/16) required surgical re-anastomosis due to unsuccessful dilation efforts. Anastomotic strictures also occur from traditional surgery to repair the condition. The Flourish device should not be used in patients older than one year, or who have teeth, which may damage the oral catheter. This device should not be used for the creation of an anastomosis other than in the esophagus, in patients without an established and appropriately sized gastrostomy tract, or in patients having gastrostomy site signs of significant infection. Potential procedural complications include ulceration or tissue irritation around the gastric catheter or gum irritation due to pressure from the oral catheter. Potential late complications following successful anastomosis include gastroesophageal reflux, tracheomalacia, esophageal dysmotility, recurrent asthma, and pulmonary infections. Since 1963 Cook Medical has worked closely with clinicians to develop technologies that eliminate the need for open surgery. Today we are combining medical devices, biologic materials and cellular therapies to help the world’s healthcare systems deliver better outcomes more efficiently. We have always remained family owned so that we have the freedom to focus on what we care about: patients, our employees and our communities. Find out more at cookmedical.com, and for the latest news, follow us on Twitter, Facebook and LinkedIn.